Why does the casino always win? When it comes to casinos, the house always wins. It may not always win in the short term, and there are hundreds of multi-million dollar casino winners to prove that, but over the long term, the casino does have the upper hand. It is after all, a business and has to be profitable. That doesn’t mean that you should never gamble because you’ll never make money, there are many casual and professional casinos alike that do make decent returns at the casinos. It just means that you need to gamble wisely, choose your game and wagers based on which ones will give you the best returns, or simply play the games you enjoy and write any losses off as the cost of entertainment. Here we’ll look at why the house always wins and steps that you can take to curb the casino’s advantage over you as far as possible. Every casino game has been specifically designed to give the casino the advantage. The size of the advantage a casino has over you will depend on the game you choose to play, for example, Blackjack has a much lower house advantage when played according to basic blackjack strategy than you will ever be able to attain playing a progressive slot machine. Of course, the payoff is that you’ll earn smaller wins than the million dollar jackpot that the progressive slot offers, but these wins will be more frequent. 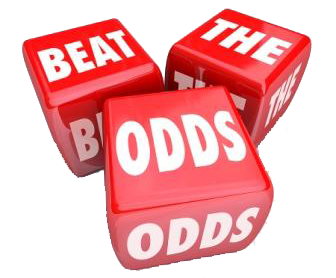 Another advantage in the casino’s favour is due to the odds that are offered by the particular casino on each bet you make. The odds offered at casinos are not always the true odds. For example, in a game of roulette, the most you’ll earn from wagering on a single number is 36:1, this is in spite of the fact that a roulette wheel has either a zero or double zero (depending on the variation you’re playing) in addition to the 36 numbers. This means that the true odds for the game are either 37:1 or 38:1 (again depending on whether you’re playing European or American Roulette), not the 36:1 you’re getting paid out for your winning bet. The house edge and odds advantage that work in the casino’s favour represent the average gross profit that the casino makes from each game. On games with low house advantages like blackjack, the casino may only make 1 to 2 percent profit (or less) when facing strategy players but on other games the percentage can be upward of 25%. Using our roulette example above, on a game of American Roulette (where the wheel has the added double zero), the house edge is 5.26%. That means that for every $/€/£1 million wagered at the table, the casino will make a profit of just over $/€/£50,000 and $950,000 of the wagers are returned to the players. As you can see, it’s not an unreasonable profit and the casino doesn’t aim to bankrupt players, it just means that over the long term they pay for their entertainment and leave the casino with a profit. Even though many players are aware that the house edge exists, many don’t truly grasp the implications it has for their bankrolls. 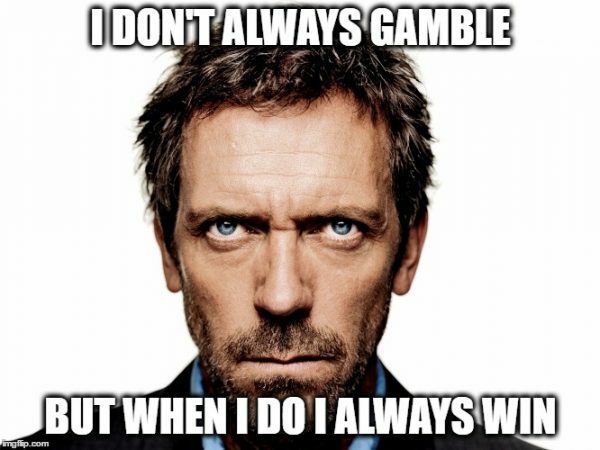 The majority of people believe that if the house edge is around 5% in a game of roulette, they can play with $/£/€100, gamble for a few hours and then only lose around $/£/€5. What this thinking fails to take into account is that the house advantage does not just apply to a players starting bankroll but the total amount wagered. Let’s explore this by way of an example. If you place a $/£/€5 wager on every spin of the wheel in a game of roulette at 50 times per hour, you’ll win some bets and lose others, but overall you’ll wager $250 per hour. If the house advantage factors out perfectly at the end of a four hour roulette session you will lose 5% of $1000 or $50, which is ten times more than you’d probably expect when calculating 5% of your $100. So always remember that the house edge applies to your total wager value, not just your initial bankroll total. The longer you play any casino games, the greater the odds that your game play will coincide with the house edge. Over a short period of time you may win and earn a substantial lead over the casino, but over the long run the house edge will inevitably catch up with you to re-claim some of your profits. This is why casinos will always do everything they can to keep you playing, from offering added free spins to offering bonuses that extend your game play in the hope that you will then keep depositing and playing. At land based casinos you’ll be plied with free drinks to keep you playing, and of course, drinking does impair your betting and game play. Select your game wisely – choose games like blackjack which have lower house edges. Learn sound basic blackjack strategy so that you can minimise the house edge as far as possible. When playing games like craps or roulette, only place wagers on betting options with the lowest house edge. Never chase losses and quit while you’re ahead.